When I first heard about this movie, I thought it was about women in traditional warfare and while the movie is about women waging war, it is not in the traditional sense of war. Halla is a fifty-year-old independent woman with no children or a partner, who is passionate about the environment. By day she is a respected choir leader in Iceland, and by night she is the 'The Mountain Woman'! Halla is so passionate about the environment that she is secretly staging a one-woman war on the local aluminium industry that is threatening the pristine Icelandic highlands. As a new aluminium deal gets closer to reality, Halla's actions increase in both impact and risk. However, during this personal war, Halla receives an unexpected letter that changes everything - her previous application to adopt a child has been approved and there is a little girl waiting for her in Ukraine. 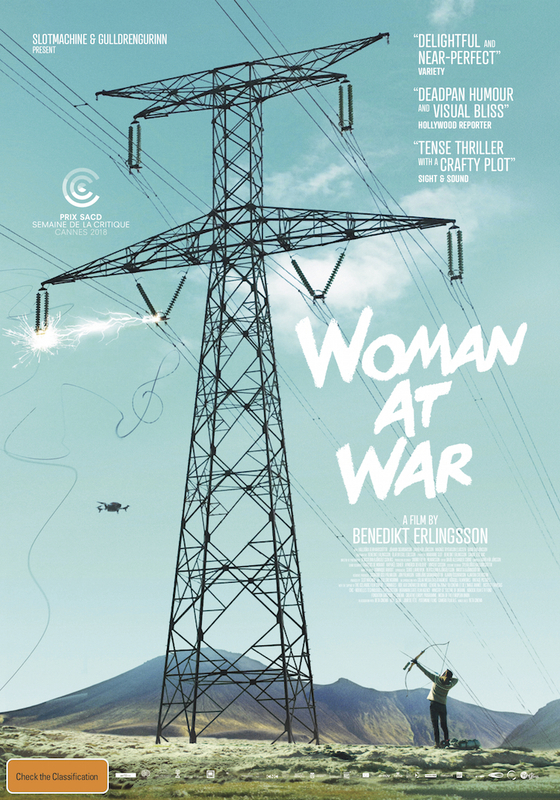 This comedy-drama-thriller film, written, produced and directed by Benedikt Erlingsson, is a delightful movie despite the serious subject matter of protecting the environment from industry! The three-piece band and the Ukrainian singer troop that weirdly pop up at various points throughout the movie offers some lightness and humour as Halla rages war one electricity pylon at a time!